Improve your metal detecting skills by doing a few things that may seem not so important to you. But believe me, what I’m about to tell you is well known, but not often used. Of course I’m assuming you understand the detector you’re using. You know how to ground balance if it’s not a turn on and go detector. You’re familiar with setting your sensitivity properly, and you know how your detector operates in most soil conditions. If you are sure that all of the above are not a problem to locating stuff, and you are interested in becoming better at locating items, then stay tuned, because your about to receive some non earth shattering advise…but so important to the success of your metal detecting adventures. If you do these two things each and every time you’re out detecting, you will increase the numbers of good finds. First, slow down, and second, use a grid pattern. 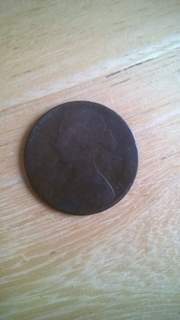 These metal detecting skills are very important. That’s it. S-L-O-W DOWN, and use a GRID PATTERN. There were times that I would walk slowly behind him, swinging my detector without hurry, and finding items he was missing. I’d yell out. “Hey Fast Eddie. Look what you missed.” Then I would hold up the item, and watch Fast Eddie moan and groan because he missed it. Slowing down your pace and your swing allows the detector to read what lies below the ground. If you’re moving too fast, the detector, no matter what model, or how expensive it is, will not be able to translate the metal beneath the coil fast enough. If you do this one thing, you’ll find more stuff. Use a grid pattern. I’m not talking about making a quilt either. 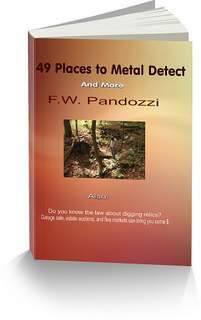 I’m talking about metal detecting in a way that allows you to cover every inch of ground in a particular area. Do this, and you will locate items you normally would have missed by using a haphazard method of just walking and swinging your detector in any direction. By using a grid pattern you will also locate items that other detectorists have missed. A grid pattern forces you to become more efficient while detecting. Here’s how it works. Pick an area where your about to detect. I usually use a 20 ft, by 20 ft area. That’s the area I’m going to cover with my coil before I move to another area. To keep in line as you walk while detecting, pick an object like a tree, or a bush that is in front of you and walk toward it as you detect. When you reach that object, turn around, and find another object in front of you as a marker, and walk slowly while detecting toward that object. It’s crucial that as you swing your detector slowly, that you overlap your last swings. This over-lapping of your swings is what makes the grid pattern successful. It means that you are covering every inch of ground that you’re detecting. It means that you’re optimizing your metal detecting skills. Continue to walk your grid, picking out objects to keep you in line, and swinging your coil slowly, as you cover completely the grid area. When finished with that area, simply move your grid pattern to the area next to where you just finished detecting. Detect this area the same way you detected the last area. Using this method insures that you covered every inch of ground with your coil, and the chances are you left no goodies behind. Now for some, using a grid pattern may seem tedious, or boring. Many in the hobby would rather just get into an area and start swinging away here and there, while missing areas that may hold finds. Try the grid pattern method. See if it helps to increase the amount of good finds you recover. By using both of the above mentioned metal detecting tips together, your quantity of quality items located should increase. Know what the laws are before digging State Lands. Use the above metal detecting skills in these areas.